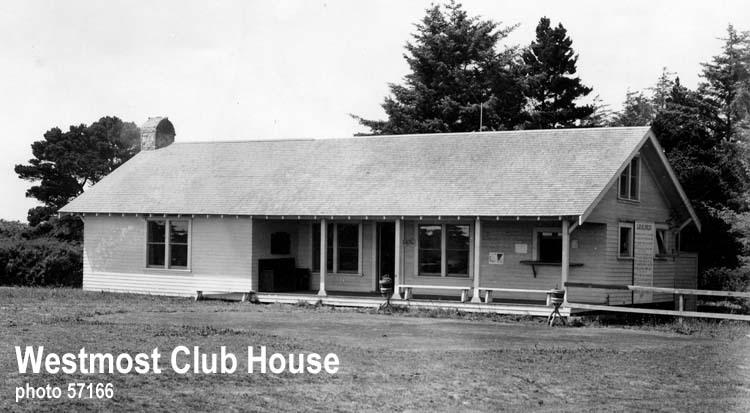 It started as an idea tossed around a Chamber of Commerce meeting but by the end of 1927, Bandon had its first golf course. 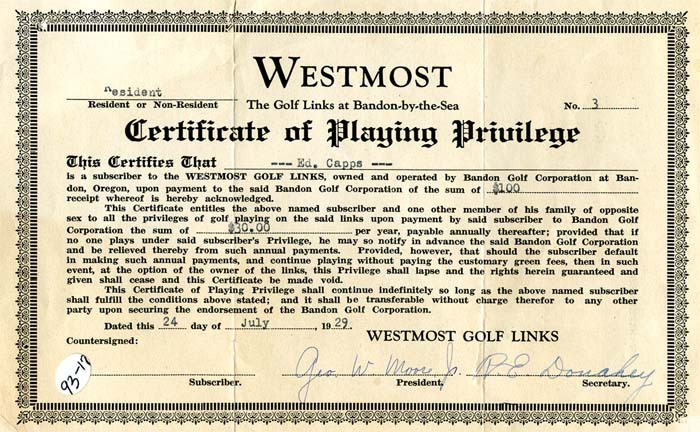 A series of articles in the 1927 Western World trace the beginnings of golf in Bandon. By the end of June, “To Consider Golf Course” was the headline of the article about chamber business. A committee of HS Ellis, Dr. RE Donahey, Geo. 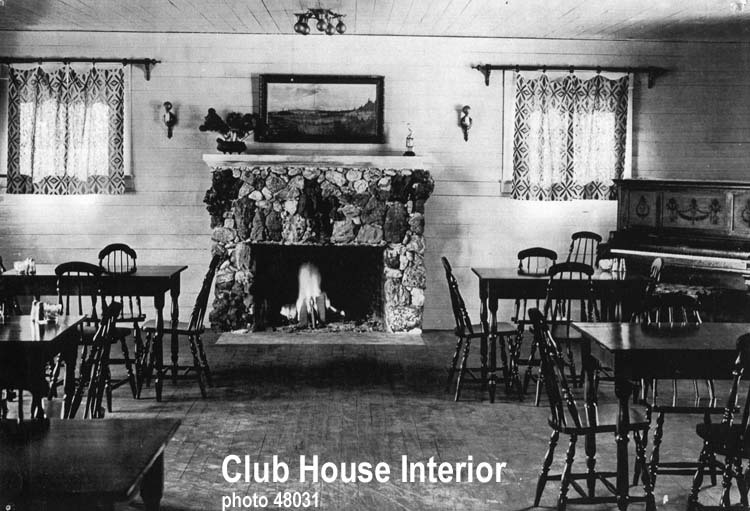 W. Moore, Jr., Archie H. Rosa, OC Shindler and LD Felshiem was formed to look into starting a golf course. A July 14 article reports the committee had visited six possible course sites. A July 21 article headlined “Golf Fans to Organize” announces a meeting open to anyone who wants help establish a golf course. “Geo. Moore to Head Golf Fans,” is the headline of a July 28, 1927 Western World article. 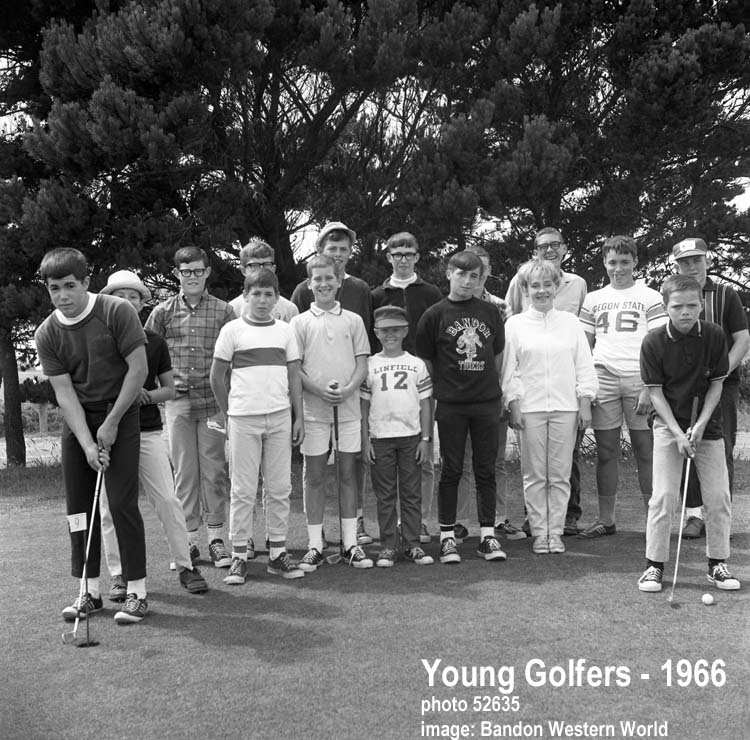 The article reported, “Monday evening at Jerry’s a group of local golf fans met and effected an informal organization for the purpose of promoting a golf course for Bandon. “Geo. W. Moore Jr. was elected president and Otto Shindler secretary-treasurer.” George Moore, Jr, was a junior partner in the Moore Mill and Lumber Company. Otto Shindler owned a pharmacy. The Monday meeting ended with news that Lee Smith, “a well known golf architect,” who had recently completed a course at Tillamook was interested in helping to develop a Bandon course. With Smith’s help, the committee took out an option to buy property known as Ledgerwood Farm that spanned the banks of Johnson Creek to where it flowed into the ocean. 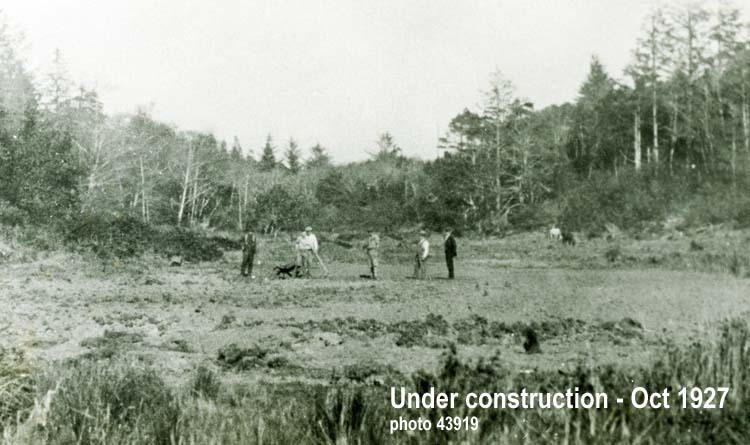 The October 6 article says, “Construction work has started on the golf links that are to be located on the Ledgerwood farm on Bandon beach, about a mile south of Silver Spray Gardens. Lee. E. Smith of Tillamook arrived Friday morning and by Monday noon contract arrangements were completed with the committee representing the membership subscribers and the option on the farm was closed. In the next week’s paper, an article opened with, “Wanted! A name for Bandon’s golf links. What have you to suggest?” The article laid out the rules for the contest to name the new course. “Nine Greens are Seeded” was the headline of the October 27 article. “In just three weeks, Lee E Smith and his crew, consisting of 15 men and three teams (of horses) have done the necessary clearing, the heavy grading and the seeding of the nine holes, together with banks and aprons.” Smith credits the unusually good weather for the rapid progress on the course. 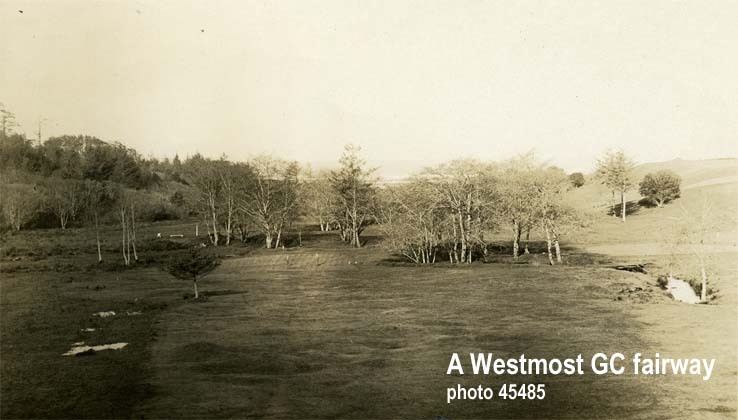 “Westmost is Name Chosen,” was the headline for November 3, 1927. 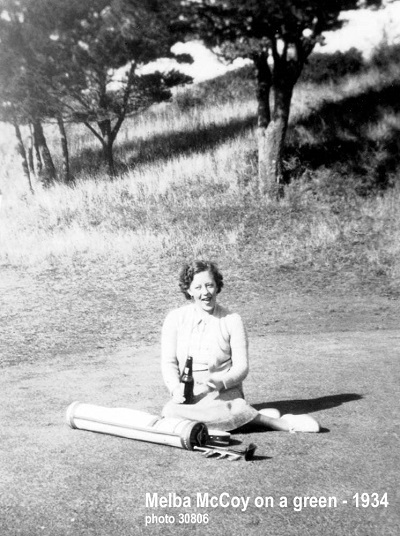 Erma Boyle suggested the name and won the prize of a set of hand-made golf clubs. “The selection was made because of the peculiar fact that the local links are the westmost links in the United States, and Mr. Smith believes that this distinctive feature has wide advertising possibilities,” reported the Western World. The course remained the westernmost in the country until Alaska and Hawaii became states. Temporary holes were established on the upland portion of the golf property so that new club members could begin play. Lee Smith opened a golf shop in town and gave lessons in the evenings. A December article reported that George Moore played the first, nine hole, par round in Bandon and that Ed Capps won Bandon’s first golf tournament. Since it was seeded in 1927, the course has gone through name changes and reconfigurations. 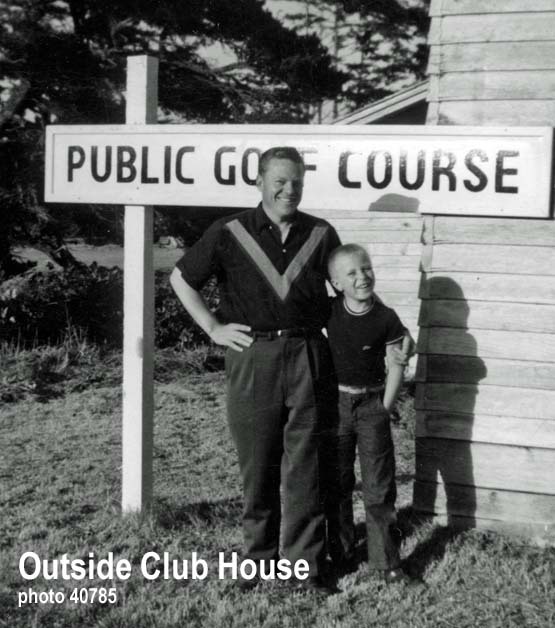 Troy and Kim Russell operated it as Old Bandon Golf Links until the course closed in 2014.